Our mission is to partner with small & medium size business owners to provide quality leadership & managerial development through coaching, teaching, mentoring & training. The Pratt College eLearning Service Center was established to provide services for PCC eLearners and other students in the Wichita metro area. Whether you’re continuing your education or returning to school, we offer a quality education that meets your needs - and your schedule. Getting started with Cowley College is easy! Enroll now for on-ground or online courses. 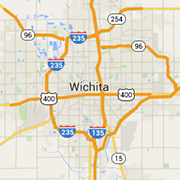 Locations in Wichita, Mulvane, Arkansas City or Winfield. RBI is Wichita's premier indoor baseball and softball training facility for individuals as well as entire teams. Also, home of Omnicut Motivational Fitness.